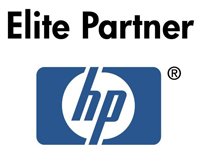 Since our inception in 1983, we have been striving to drive comprehensive technology convergence across all areas of our expertise in order to increase the efficiency, lifespan, and return on investment for our clients’ solutions. 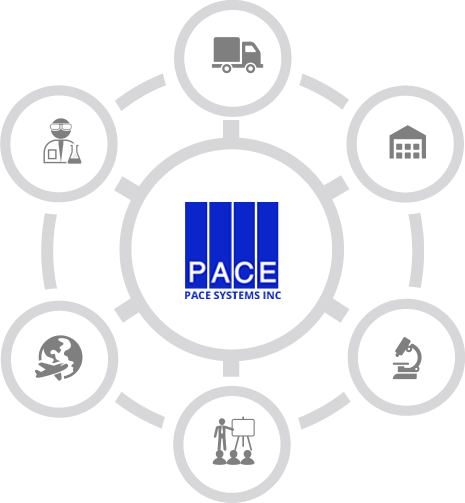 Pace Systems provides Security, Audio Visual, IT, Electrical, and Software solutions to medium and enterprise-level organizations, including those in healthcare, higher education, and commercial real estate. Audio Visual solutions often include high-tech boardrooms, classrooms, and lecture halls. 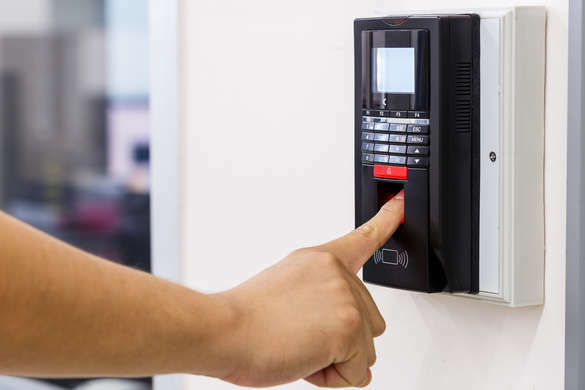 Security solutions often include video surveillance, access control, mass notification, and IP paging. Our clients have demanding and diverse technical infrastructure needs, but the scope of these projects often requires expertise that would usually only be met by hiring 3 or more companies. We solve this problem by providing true end-to-end solutions all under one roof and help our clients realize tremendous cost savings in the process. To show you what we mean, a typical project might look like this: Our in-house engineers design the system based on customer feedback and needs. We procure materials and store them in our large warehouse, delivering materials to the site at appropriate times. We configure and assemble both the hardware and software in our high tech configuration lab. Our teams of union electricians install the systems on premise, and our experienced Security and Audio Visual field technicians integrate the systems to get them talking to each other. Because we helped implement all aspects of the project, we are comfortable with partnering with the client over the long-term to provide ongoing support on any or all components of the system. Note: Pace Systems is a certified State of Illinois Alarm Contractor and licensed Electrical Contractor. In addition to these, Pace Systems holds an impressive list of manufacturer certifications for a wide range of products and services. Pace Systems holds Minority Business Enterprise (MBE) certifications with the City of Chicago, Cook County, and the State of Illinois. ©2019 Pace Systems, Inc. All Rights Reserved.